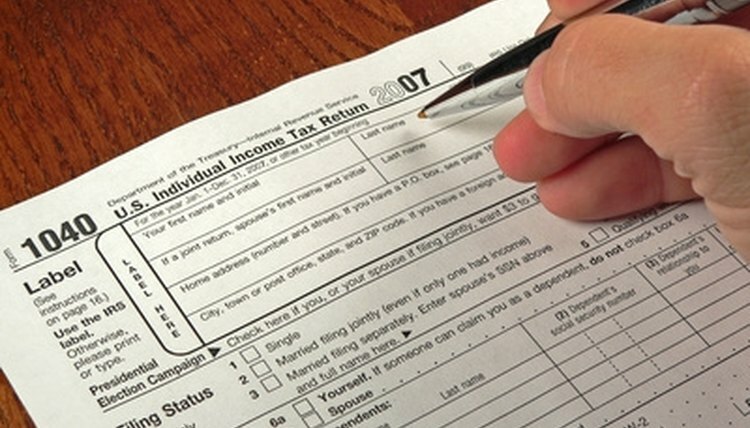 The government requires employers to withhold federal income tax from their employees' wages. The amount of the federal income tax depends on the employee's Form W-4 and the IRS' withholding tax table rates. Social Security and Medicare (FICA) taxes are other federal income taxes; the government sets these withholding rates. The employer must pay the taxes to the IRS based on his payment schedule, which the IRS dictates. To avoid penalties, he should calculate the withholding appropriately. Get a copy of the IRS' tax withholding rates (Circular E). Each year the IRS sends employers that it has on record a copy of the new Circular E. You may also search for the Circular E online. You also need the employee's filing status and number of allowance, which is stated on the W-4. Use the wage bracket alternative if the employee's income falls within the wage bracket and if he has less than 10 allowances. For instance, say he earns $400 weekly in 2010 and claimed single/one. According to page 41 of the 2010 Circular E, withhold $29. Use the percentage method if you prefer not to use the wage bracket method, if the employee's wages exceed the wage bracket method limit, or if he has more than 10 allowances. For instance, if he earns $1,270 weekly (which exceeds the wage bracket method limit) and claimed single/one in 2010, you would calculate as follows: $1,270 - 70.19 = $1,199.81 (see the percentage method table on page 37 of the 2010 Circular E). Then, go to page 39; calculate as follows: excess over $693 = $506.81 + 25 percent = $126.70 + $82.35 = $209.05--weekly withholding tax rate. Calculate FICA taxes. For 2010, the Social Security tax rate was 6.2 percent, up to the yearly wage limit of $106,800. Say the employee earns $375 weekly, calculate as follows: $375 x 0.062 = $23.25. For 2010, the Medicare tax rate was 1.45 percent; calculate as follows: $375 x 0.0145 = $5.44. Medicare tax has no annual wage limit; withhold it from all income. Ferguson, Grace. "How to Calculate Federal Income Wage Tax With Holding Rates." , https://legalbeagle.com/6200697-calculate-wage-tax-holding-rates.html. Accessed 26 April 2019. How do I Calculate Backpay Taxes?